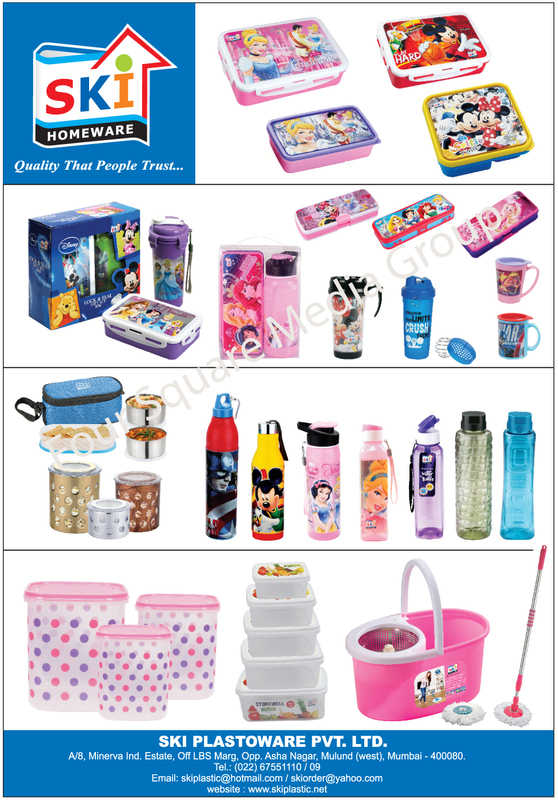 Insulated Bottles, Sipper Water Bottles, Lunch Boxes, Pencil Boxes, Insulated Lunch Boxes, Vacuum Insulated Water Bottles, Storage Containers, Dustbins, Buckets as an active Manufacturer, Supplier, Dealer, Distributor, Trader and Seller etc. (*Importer/Exporter/Service Provider). © Copyright 2019. 99plasticforyou.com, All Right Reserved.